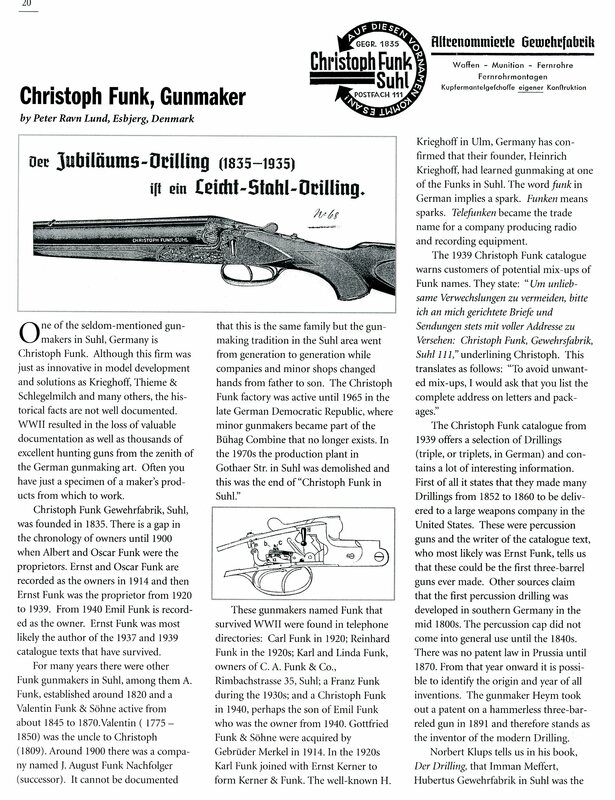 The German Gun Collectors Association has a 27 page “Christoph Funk” catalog available for purchase. Click here to go to their site and to view their offerings. 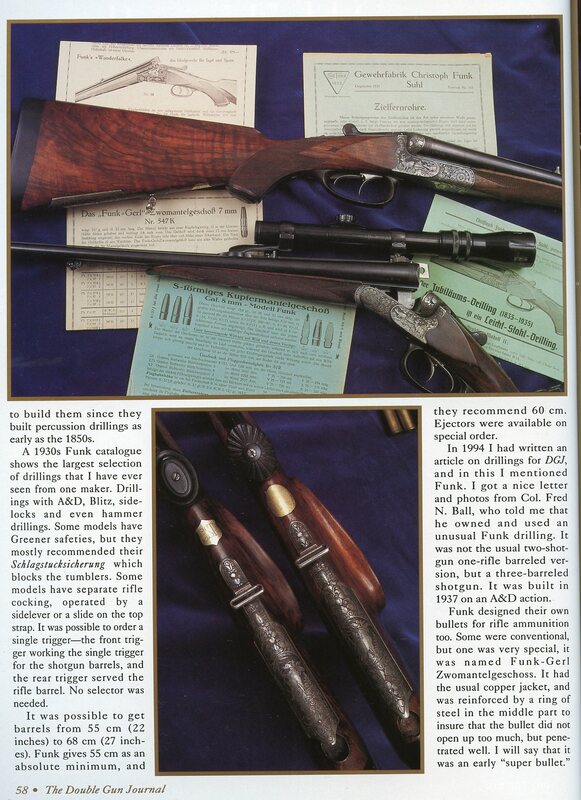 Peter Ravn Lund of Denmark has a wonderful site dedicated to Funk guns and the gun makers. Click Here to view that site. He also has a great book available for purchase on the subject. 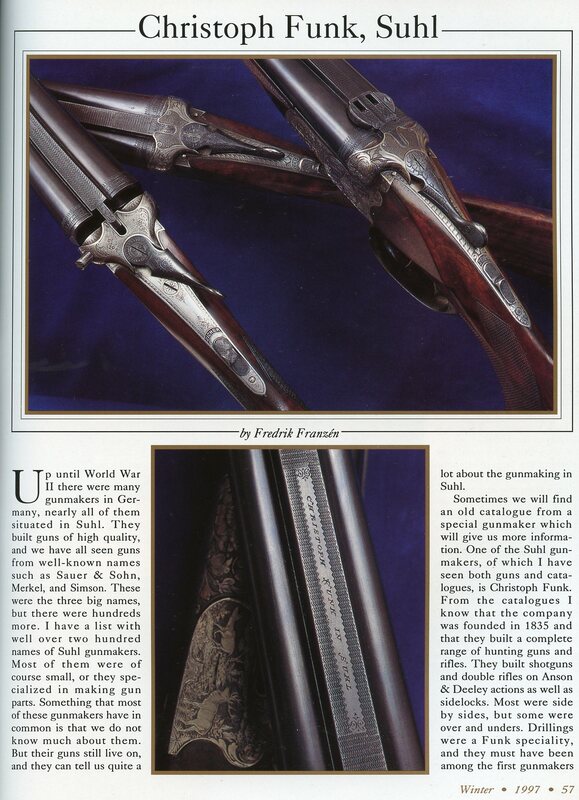 The following preview article appeared in the Winter 1997 issue (Vol. 8, Iss. 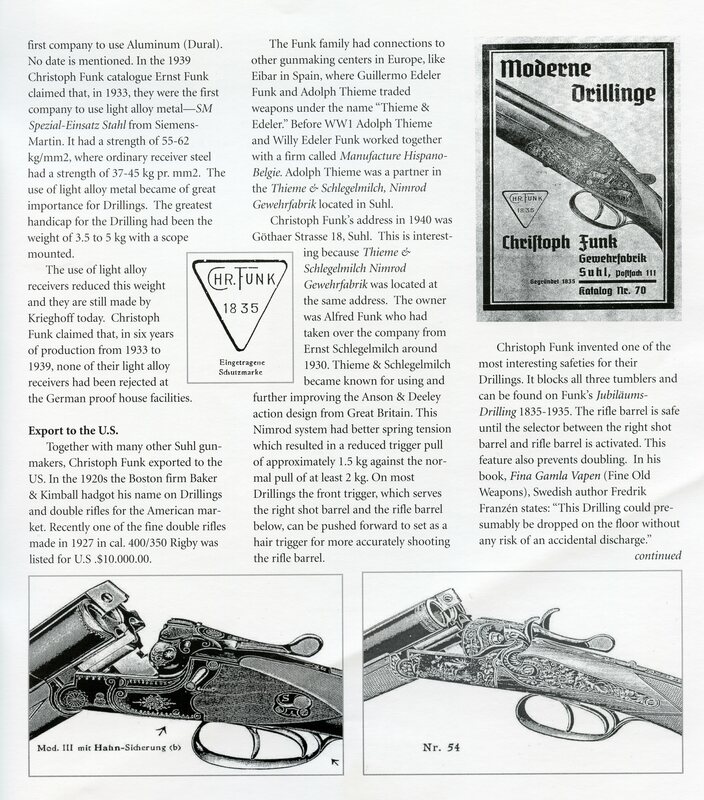 4) of the Double Gun Journal and is courtesy of the author Fredrik Franzén and Daniel and Joanna Côté, editors of the Journal. 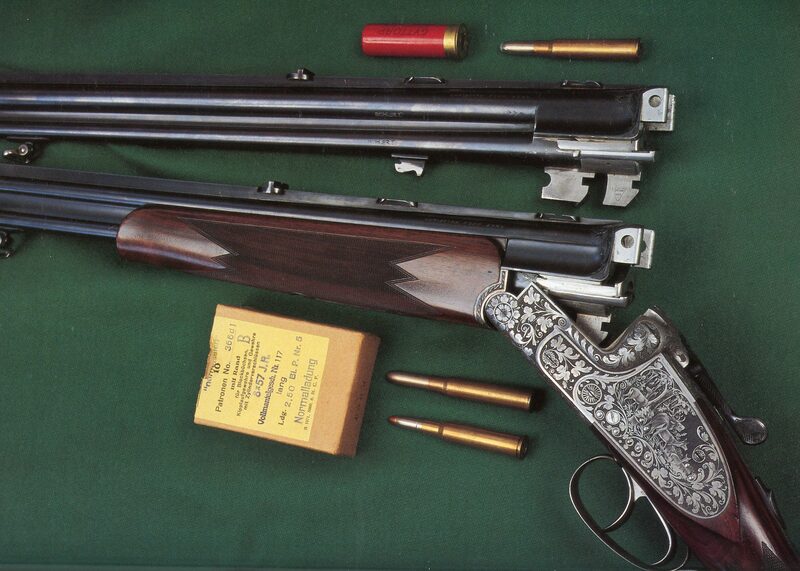 A back issue with the full story is availible from them by calling (800) 447-1658.